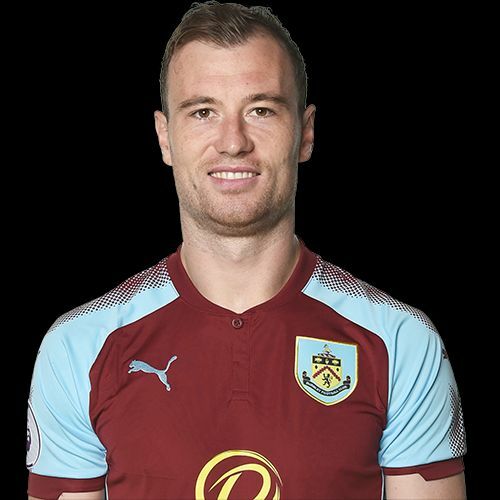 Ashley Barnes scored the equaliser, his second goal in successive weeks at Turf Moor, to set us on our way to a 2-1 win against Everton last Saturday and that, along with his overall performance, has won him both the man of the match vote and the player ratings. I think the Everton defenders must still be having nightmares about Barnes. In some ways it was reminiscent of his performance against Manchester City back in the 2014/15 season when he scored the final goal as we came back to draw 2-2 at th Etihad. He was uncatchable in the selection of the man of the match, claiming 52% of the vote, double the 26% won by right-back Matt Lowton who finished second. Aaron Lennon, playing against his former club, had his best game yet for Burnley and, although he won just 7% of the vote, came in third whilst fourth place went to the returning James Tarkowski who just beat Ashley Westwood with both having a 5% share of the vote. It was the same top three in the player ratings with Barnes again leading the way with a rating of 8.72 out of 10. Just behind again was Lowton who scored 8.58, followed by Lennon whose rating was 8.02. Tarkowski relinquished fourth place this time to his defensive partner Ben Mee who had a rating of 7.68 out of 10. That result gives Barnes the maximum ten points towards the Up the Clarets Player of the Year with six points for Lowton, four for Lennon and one each for Mee and Tarkowski. As Barnes moves into seventh place in the table, the race to see who is first to take first place from Steven Defour is being led by the two central defenders who are now both one point closer. Mee is now just three points behind with Tarkowski another five points behind Mee. The next vote, for the West Ham game, will be underway on Saturday around an hour after the final whistle and the Everton result can be found below along with the current player of the year table.